Homeless families and individuals are provided housing plus services designed to promote self-sufficiency. Some of the services include employment services, education, counseling, and household budgeting. SHELTER, Inc. owns and operates units throughout Contra Costa County, including an emergency family shelter in Martinez. We operate the Mountain View Emergency Family Shelter in Martinez to get homeless families with children off the streets and into a safe temporary home. The shelter accommodates 7 to 10 families (up to 30 people) who meet regularly with a case manager who assists with stable housing placement, and links families to services such as education, employment, and therapy. On average, 90% of the families exiting from our family emergency shelter move to stable housing, including long-term housing and stable, transitional housing. We offer rental assistance combined with services to help homeless families and individuals overcome the challenges and barriers which led to homelessness. We offer one-on-one career development, readiness, placement, and job retention services to clients participating in various transitional and permanent housing programs. We also provide job search and career coaching workshops, transportation assistance, uniforms, and short-term/cost-effective training and certification. 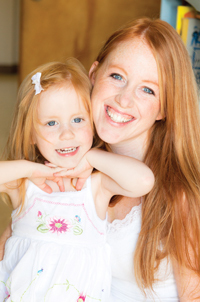 Credentialed teachers provide individual and customized mentoring and teaching for adults and children living at Mountain View Emergency Family Shelter. We partner with C.O.P.E. Family Support Center to provide mental health counseling, assessments, therapy, and links to appropriate mental health services. Several times a year, we offer the Positive Parenting Program curriculum to participants in our residential program to promote healthy relationships between parents and their children. We partner with Leah's Pantry to provide family nutrition workshops to families with healthy cooking lessons and information on why healthy, nutritious meals are important.